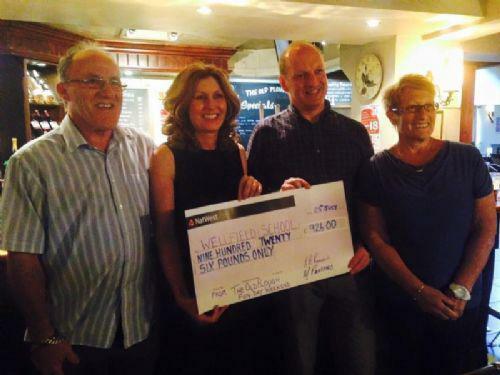 Many thanks to Chris and Mike from The Plough in the village for raising over £900 for the infant and junior schools. The money received is going to be added to our funds for our joint project to develop the school field. This project will be the key focus of the Wellfield Infant and Junior Schools Partnership over the next 2 years. Thanks also to Rebecca and the rest of the PTA for supporting Chris and Mike with their weekend of events - and to all our children and parents who went along to join in the fun.